“Berlin, Other Cities, Here” is a pantoum. This is a Malayan poetry form that found its way to English through the French. The first line is also the last line. Each stanza must be four lines. The second and fourth lines of the first stanza become the first and third lines of the next, and so on. There is a specific rhyme scheme (abab, bcbc, cdcd, etc.). No dainty dolce affectuoso I.
that was all we could hear. far, far away from the ghetto. not immune to a rancid rot. left vulnerable to a moral rot. We denied our integrity perishable. we had conspired against the daisy. A visitor sits in a rabbi’s study — you’ll have to enact the scene in your mind, complete with theatrical shrugs and gestures. As I was saying, a visitor sits in a rabbi’s study, watching the petitioners come and go. In walks Mrs. Smolensky, her wig askew — remember, this is an old-fashioned story — tears coursing down her cheeks. She pours out a tale of injustice, describing the actions of her scoundrel husband and the pain he has inflicted upon her. Mrs. Smolensky leaves the office, calm and consoled. In walks Mr. Smolensky, his yarmulke sliding toward one ear as he threatens to pull out the hair around it. He pours out a tale of injustice, describing the actions of his shrewish wife and the pain she has inflicted upon him. Mr. Smolensky, too, leaves mollified. A visitor sits on a park bench (perhaps the last one in the city), enjoying the sunshine with a San Francisco Citizen. One after another, petitioners approach. The first, Sarosh Kumana, enters gracefully, his dark eyes echoing the charcoal tones of his suit and tie, his handsome face lit in a warm smile. He’s a landlord, a fairly large one who banks rents from some 100 units in the city and would undoubtedly profit by selling some of them. Kumana cites a recent Chamber of Commerce survey that says “a lack of home ownership is the biggest problem in San Francisco today.” But he has found a solution to that problem: he has founded an organization, HomeOwnership for Tenants (HOT). San Francisco resembles a third-world city, Kumana says, because its home ownership rate is only 34 percent, far below the national average of 68 percent. 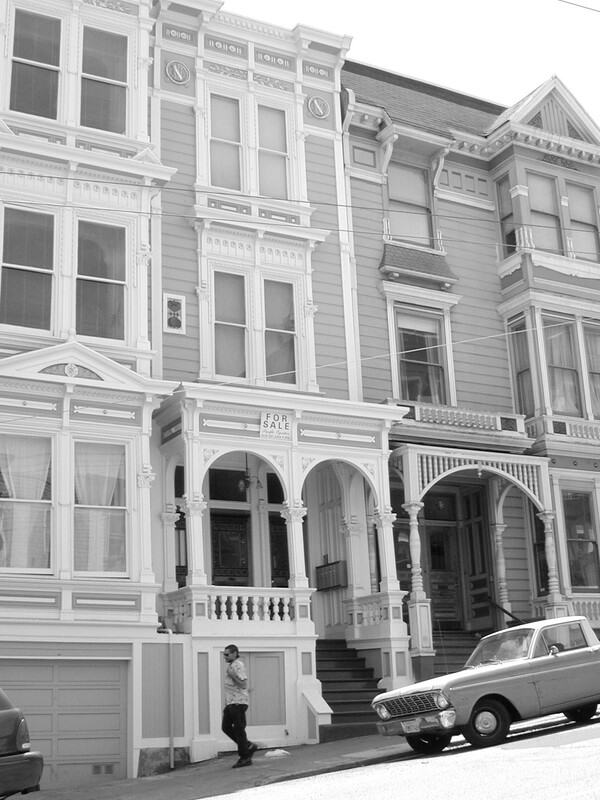 He calls upon the city and its government to perform their patriotic duty, to “display the intelligence and creativity necessary to achieve the goal of 68 percent homeownership in San Francisco within ten years” by removing the “imbalance between supply and demand” and converting 17,000 households a year from tenancy to ownership. How? Simple, says Kumana. Get rid of the 200-unit cap on condo conversions and let the people follow their dreams. In any apartment complex, whether two units or two thousand, if 25 percent of the tenants (including perhaps the building owner) vote to go condo, let the process begin. Protect tenants who will not/cannot buy their apartment by giving them lifetime leases. A win-win situation, he insists. The prices will not be prohibitive, he says, citing recent sales of rental properties. Say a three-unit building sold for $825,000. That’s the equivalent of selling each two-three bedroom flat in it for $275,000. Or look at the sales of buildings with four or more units over the past year and a half: the average price per unit came out to a modest $157,000, easily borrowable through Fannie Mae’s zero and low down-payment programs. But, according to Kumana, the plan requires a complete commitment to work. Half-hearted commitment won’t do. At a recent Commonwealth Club forum, Tenderloin Housing Clinic director Randy Shaw proposed a 1,000-unit pilot program, to see if San Francisco’s landlords would be able to restrain their profit-seeking instincts and actually offer tenant safeguards. Kumana declined. “A thousand units represent a trivial number in San Francisco. They wouldn’t offer any meaningful increase in home ownership.” Nothing less than full support is required to bring about the American dream. Enter Chris Daly, lean and rosy-cheeked, his height disguised by a shuffle, his plain white shirt open at the neck under a nondescript gray suit jacket. Not yet thirty, Daly has spend his adult life organizing tenants in the Mission, the Tenderloin, and South of Market, some of the city’s poorest neighborhoods. Before he gained the respectability of a supervisor’s seat, he honed his street smarts in eviction fights. Daly praises the condo-conversion cap for keeping tenants from joining the thousands of homeless people already camping out on San Francisco streets. He wants to expand the cap to include TICs — tenancies-in-common — which have became an easy route around the city-imposed limits. Undeterred by the knowledge that voters rejected a similar proposal in last year’s election, Daly has proposed an amendment to the city’s Subdivision Code, with a hearing scheduled for Thursday, May 24. Here’s the Daly plan, with its complicating legalistic qualifying clauses smoothed out: if “at least one tenant in a building containing two or three units, or … at least two tenants from two separate units in a building containing four, five, or six units” want to buy their apartments as TICs, they can apply to be added to the annual conversion lottery where 200 lucky unit-dwellers are chosen. 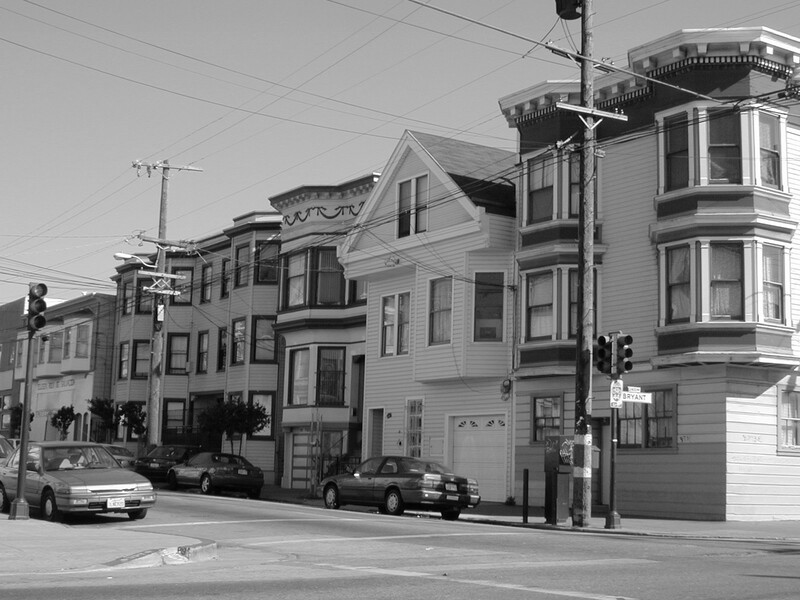 The result: the preservation of “a reasonable balance of ownership and rental housing within the city and county of San Francisco” and the removal of one of the biggest threats to tenants’ security. Close on Daly’s heels comes rumpled, pudgy, balding Jake McGoldrick, looking like the aging college professor and labor negotiator that he is. This seasoned warrior tackles tough topics as though he’s Clarence Darrow, although his meandering oratorical style would have turned the Cross of Gold speech into a Socratic debate on the origins of the monetary system. Like Daly, McGoldrick is a reformer, but instead of the tenant-heavy bay side of town, he represents the Richmond District, where homeownership is high — about 60 percent, compared to the citywide average of 34 percent. He got his start crusading against the construction of monster out-of-scale homes in the area, acquiring as a result a reputation as a Sinophobe for protesting the large dwellings sought by extended Chinese families. McGoldrick is trying to arrange a marriage between Kumana’s HOT and Daly’s TICs, coming up with his own Hot Ticket in the form of yet another amendment to the Subdivision Code. Like Kumana, he wants to lift the conversion cap — well, a little anyway — in deference to tenants who voted against Prop N. These people, he says, “want to have the opportunity to own their own units, but they have no desire to do so by displacing existing tenants.” And so, like Kumana, he would provide lifetime lease extensions for “nonpurchasing tenants” in converted buildings, and in fact, without the frenzy of 17,000 conversions a year, units occupied by “nonpurchasing tenants” might offer less temptation to unscrupulous owners. The mechanism is decidedly Son of HOT, but the results are more likely to resemble their TIC mother. On the one hand, like Daly, McGoldrick wants to add TICs to the conversion lottery. On the other hand, he wants to double the number of units in the pool. But on one foot — he’s run out of hands — he wants to limit purchasers of the additional 200 units to “tenants of median income or less.” Nevertheless, on the other foot, the median income in San Francisco is far above the slender means of Daly’s potential evictees. Once again, the San Francisco Citizen nods. “You’re right. In a different city, one with a profusion of places to live, all these starry-eyed dreamers might indeed be right. In a buyers’ market, many arrangements are equally acceptable, since everyone — whether a $500,000-a-year investment banker, or a $70,000-a-year computer programmer, or an $8,000-a-year retiree — can easily be accommodated. The San Francisco Citizen pauses, waving a hand as if to erase an unspoken objection. “You’re thinking of the live/work debacle, where we rushed in and constructed frenetically, only to have the building boom backfire. “We don’t have to solve the problem all at once, or by one approach. There’s still a need for neighborhood planning commission s to chart a course; there’s still the danger that seemingly random construction will turn out to be skewed in favor of one specific group. “But to solve the problem, we have to acknowledge that there is one. If housing is the number one concern of San Franciscans, why aren’t our elected officials making it their first priority? Why haven’t they declared outright war? Let the neighborhood groups deliberate — and require them to come up with a plan within a specified time period. But why should the folks in City Hall sit and twiddle their thumbs while they wait for the voters’ recommendations? “If your house is on fire, you don’t sit by idly until the entire Fire Department shows up at your door; you get out your hose and start spraying. Is it too much to ask that the city’s governors do the same? Buy that aging but sound building in the Mission before a developer does, and use it as low-income housing. Offer the city’s superfluous property for land trust organizations to build on. Peg condo conversions directly to new construction. Let the city apply the same “creative financing” it has perfected elsewhere to the housing problem.